The Victorian era has always been one of my favourite periods (coming a close second behind the 18th century), particularly for fashion. It is a very diverse period for fashion, and the more I have studied it, the more I have been intrigued by the great variety of fashions that existed for women throughout Queen Victoria’s reign. 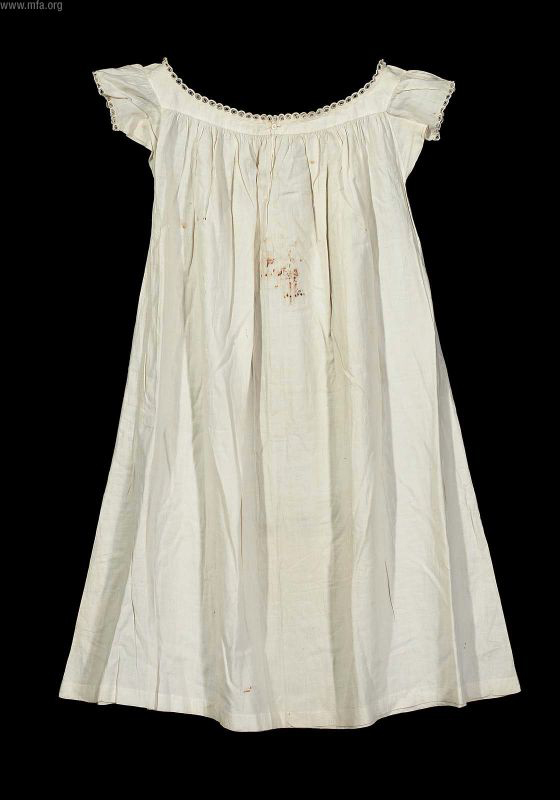 A mid-late 19th century chemise. From: Museum of Fine Arts, Boston. I have particularly wanted a Victorian wardrobe for a while, and the corset and chemise were my first items to embark on. The Victorian chemises are a different creature to those that came before it. They seem to be lacey, frilly, pin-tucked, embroidered and – generally speaking – a whole lot more feminine! The only era to outdo the Victorians in this way were the next-generation Edwardians. 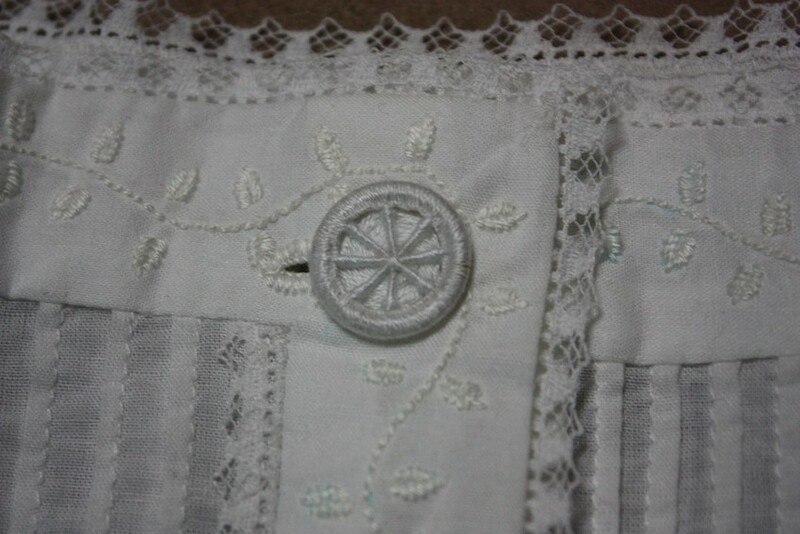 I found this lovely chemise, complete with pin-tucks, a delicate vine embroidery, and dainty lace, and it took my fancy! I began with a free pattern by Serinde, and then made a few alterations to make it a bit more like the picture above. The pieces of my Victorian chemise: body, sleeves, yoke bands. 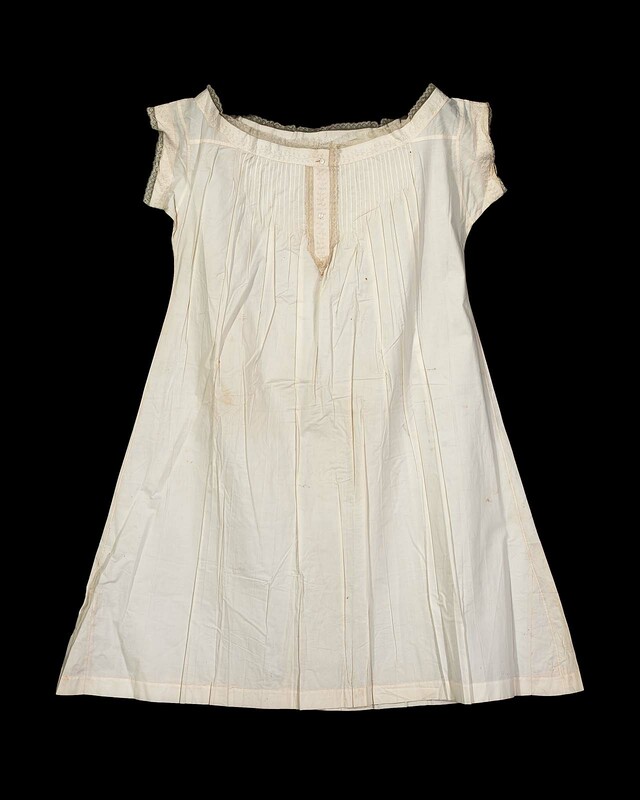 The extant chemise pictured above does have its own triangular-shaped shoulder straps that are cut separately to the sleeves and body of the garment, but I didn’t do that. 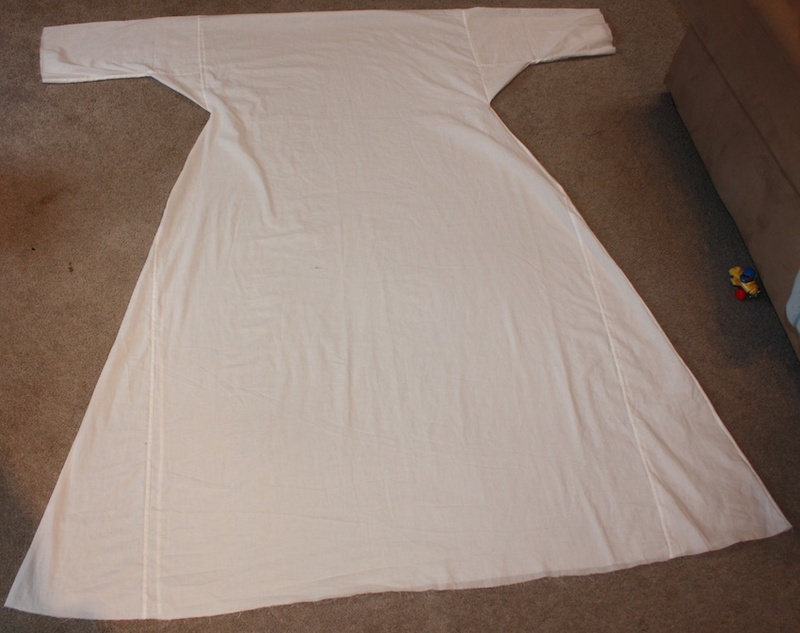 Step One: Sew the sleeves onto the body of the garment, following Serinde’s instructions. I then flat felled the seams. The two sleeves attached to the body. The seams are not flat-felled yet. Step Two: Sew the side seams, from the under arm down to the bottom of the garment. I flat felled the seams here too. The side seams are sewn. Sleeve seams are pinned down for felling. Step Three: Marking the centre front, create a series of pin tucks across the front, making sure that both sides look even. Press them to either side. The 1/8″ pin-tucks, placed 1/4″ apart. This is the point that my chemise-making went awry. I did not take into account the pintucks and allow enough material across the width of the chest, so my resulting chemise was very tight. Step Four: I embroidered the bands that I was using on the sleeves, neckline and centre front button placket with a scrolling leaf pattern. I used two strands of white embroidery cotton, and used a very short backstitch for the stem and a fishbone stitch for the leaves. 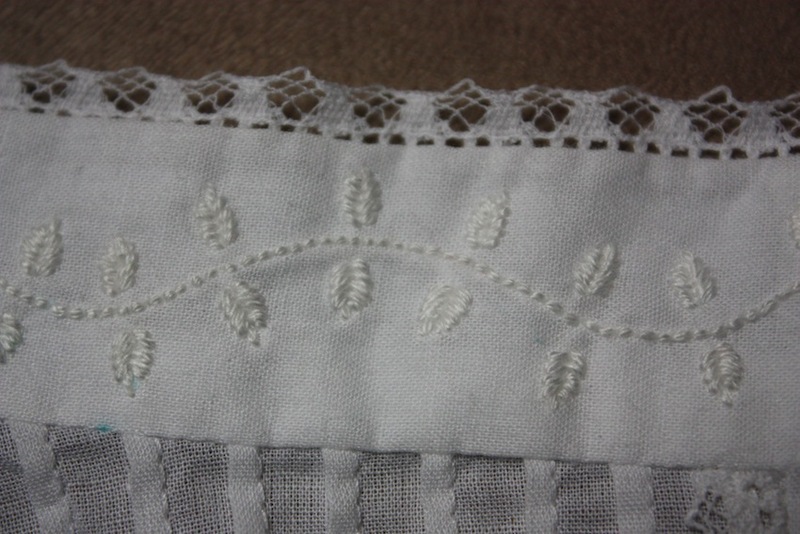 The scrolling embroidery, with the lace attached at Step Seven. It is helpful if this is done before attaching it to the garment, as then the self-facing can cover the back of the embroidery. Make sure you mark the seam allowance and the fold line of the strip so that your embroidery is centred on the part that will be seen on the outside. Taking two small strips of the yoke bands, sew one on each side of the slit (right sides together). (Note: It could be a good idea to think about the lace placement on the sides of the top placket here, rather than at Step Seven, as I did! I appliqued mine on top rather than putting it in the seam.) 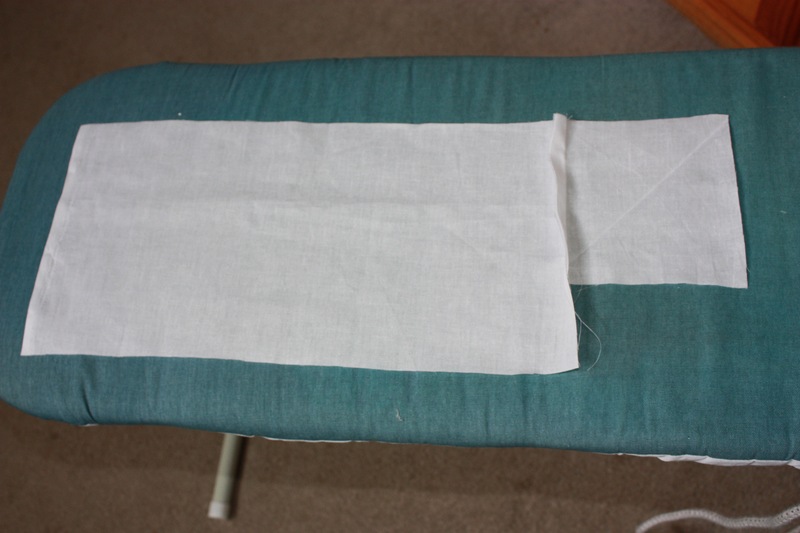 Fold the excess over to create a self facing and, tucking the raw edges under, hand sew. 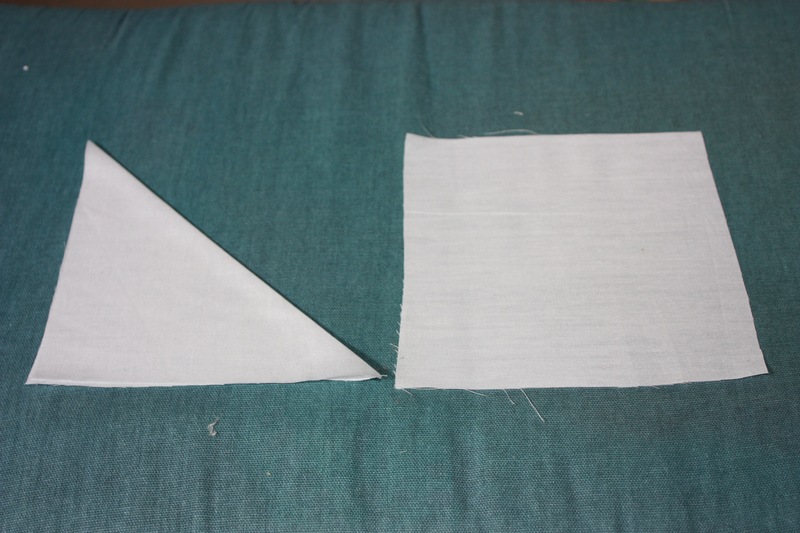 At the bottom of the placket (where the two sides of the placket meet), I created a V-shape on the outer strip of the placket and hand stitched the top layer to the bottom layer. 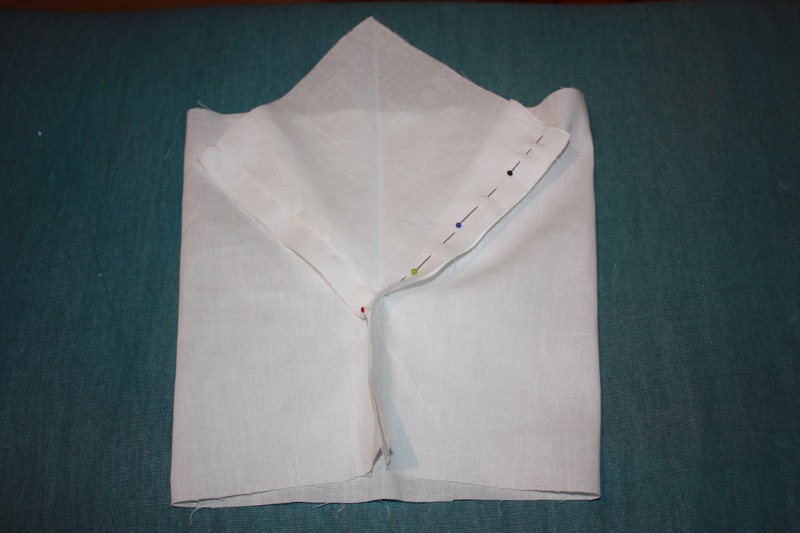 The placket has been attached and the facing has been folded to the inside ready to handsew. 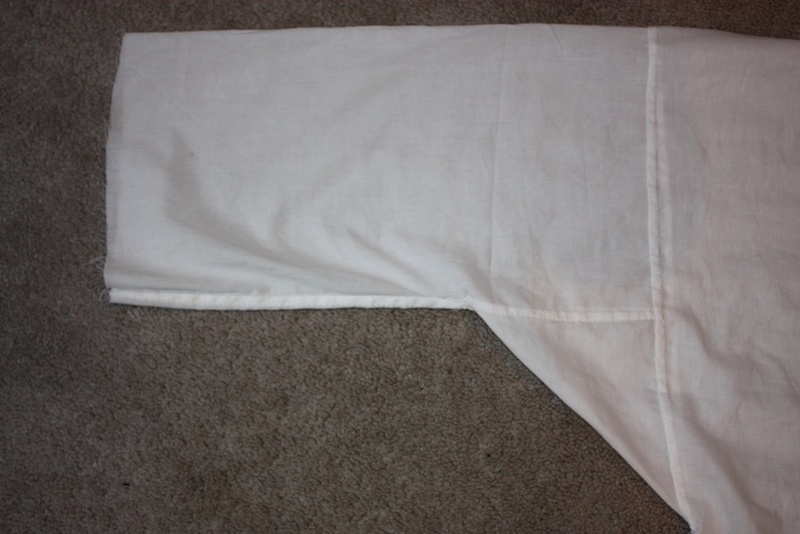 The V-shaped placket can be seen at the bottom of the picture, before it is handsewn down. 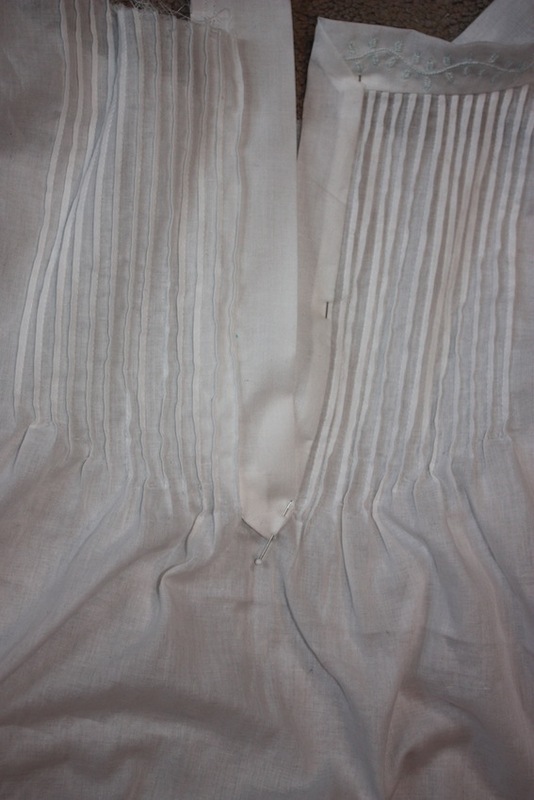 You can also see the mitred seams of the placket at the top of the picture (read below). I handsewed these mitred seams and tucked the excess under, as it was a bit easier to be precise. 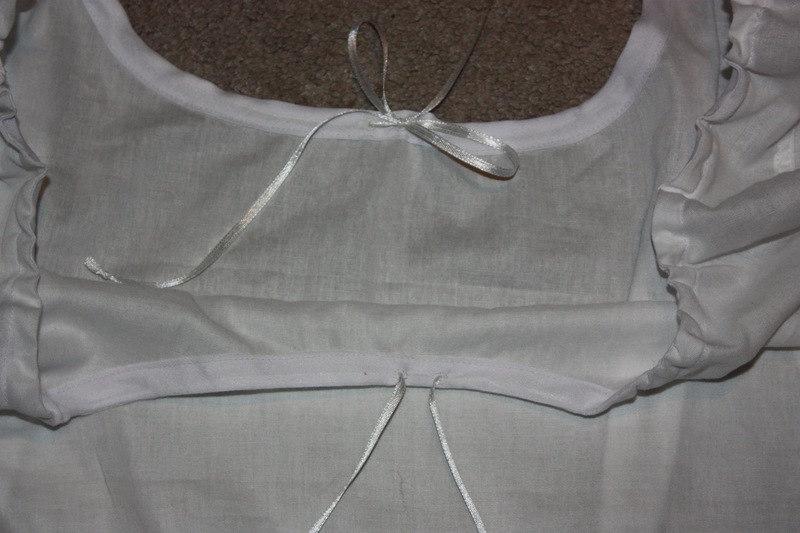 Step Six: For the rest of the neckline, sew longer yoke band strips around it. Making mitred corners at the centre front where they meet the placket (as pictured above). For the centre back, gather the back panel to fit. I also adjusted the back of the yoke band with some angled tucks so that it would fit better over the shoulders. I moved some of the centre back fullness to the sides with two pleats on either side, as it was too small for me and this helped the fit. The back neckband, embroidered and attached. 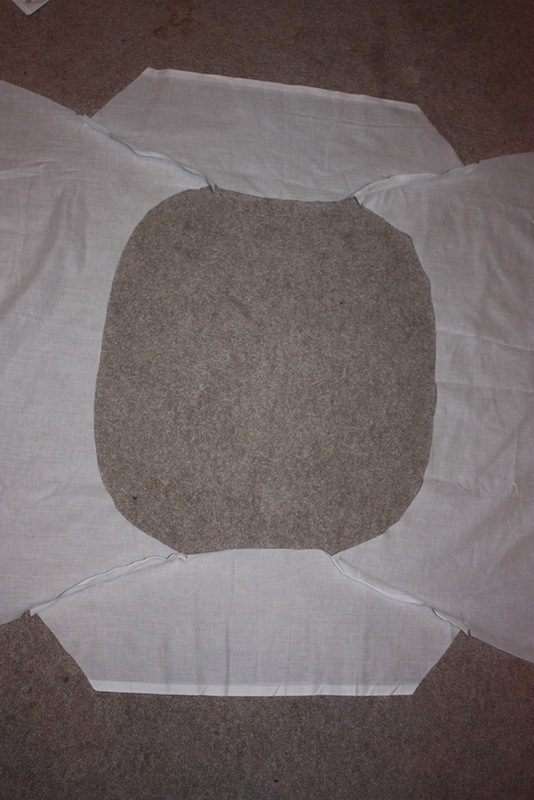 As before, fold the excess over to form a facing and turn the raw edges under to hand sew. Much fitting was done at the this stage to see if the neckline would fit properly under my dress. Step Seven: Sew on sleeve bands in the same way that the neck band was sewn. Step Seven: Trim the neckline, placket and sleeve bands with lace. Hem the bottom edge of the chemise. Step Eight: For the centre front closure, I have seen chemises as late as 1850 with a dorset button. 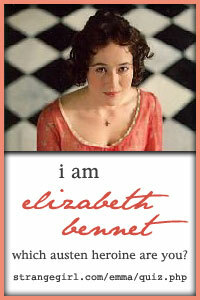 I decided I should utilise some skills I had developed at a previous Jane Austen Festival and so added a dorset button. The dorset button, 5/8″ wide. The ones I have seen on extant items are teensy (about 1/4″ wide), but this was the smallest ring I could find. Usually the plain chemises of the 18th century and Regency do not take me very long to sew, but the profusion of Victorian pin tucks, embroidery and lace meant that this project was much more time consuming than I had imagined. Victorian chemises also seem to be more fitted, particularly across the shoulders, than in previous eras, which then consumed more time in fitting and unpicking and re-fitting! In addition, it does not fit very well! I had to add a few “extensions” under the arms so that it would fit across my chest better. It is kind of disappointing when I spent so much time on the embroidery, but I may re-make the body of it at another stage. 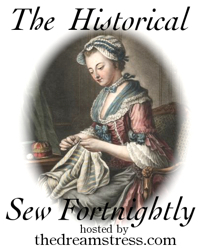 Look out for the next post in my Victorian wardrobe – making an 1880’s petticoat. Chemise with sleeve and neck ruffles, c. 1780, from the Metropolitan Museum of Art. 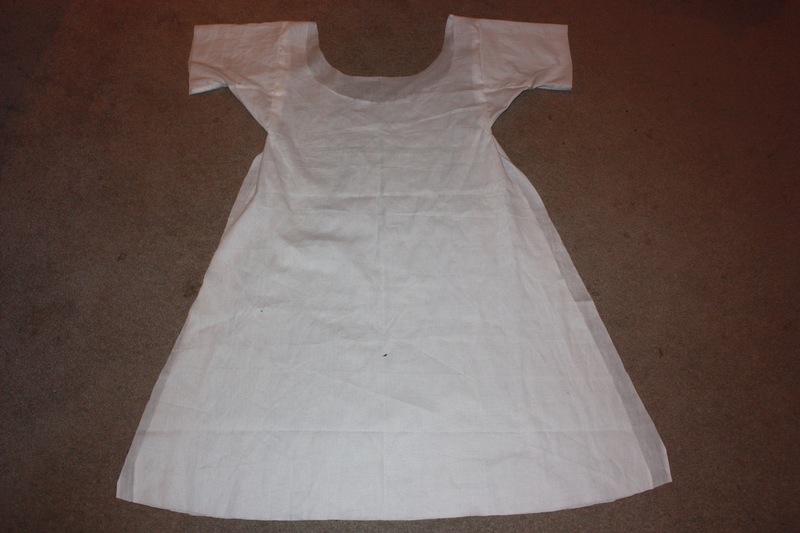 Recently, I have been making some more stays to wear beneath my eighteenth century costumes, and I had the idea to begin work on a chemise for the same period. Since I have made my Regency Day Cap, I have been looking for something else to handsew and this chemise seemed to leap out at me to be a good option. As a result, this garment is completely handsewn and took about 3 weeks (with a few hours of sewing per day) to finish. Whilst few chemises of this period survive, I was really keen to find one with some sleeve and neck ruffles, and even something with a touch of lace. 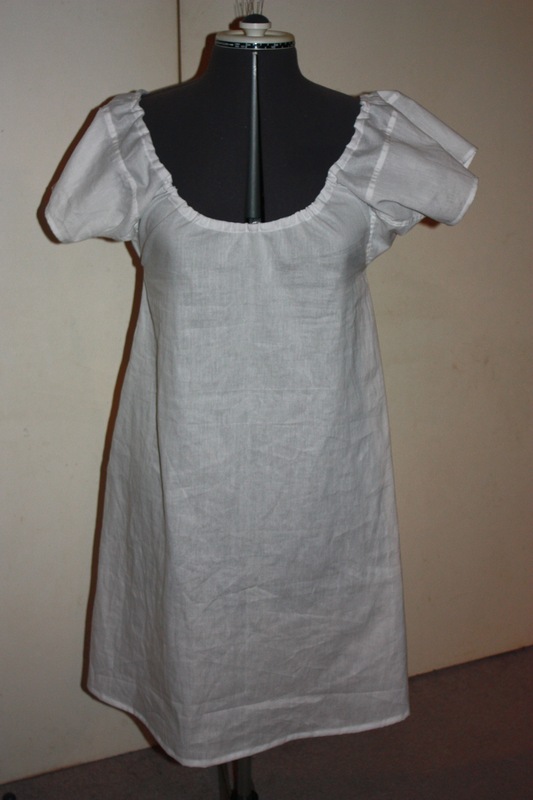 The pattern I started with was the one provided on How to Make an 18th Century Chemise. 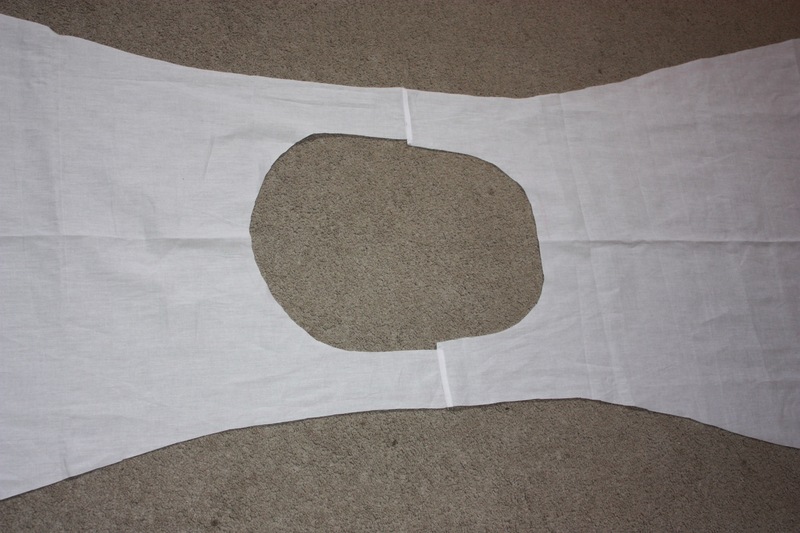 There is also a helpful cutting diagram to help with pattern placement on the fabric. Sleeve cuff – a thin piece of material about 1-2 cm wide and 25 cm long (just make sure it will fit around your arm at the elbow). 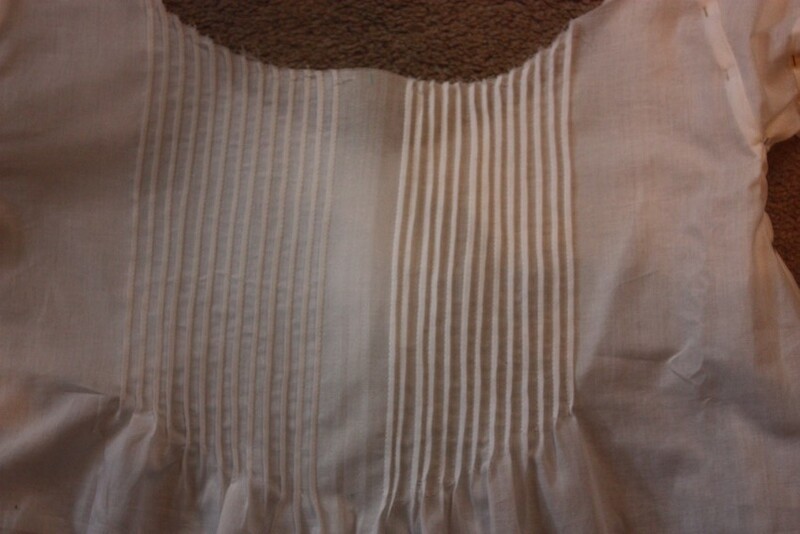 Sleeve ruffle – I used a strip twice the length of the bottom of the sleeve and 5 cm wide. Neck ruffle – Once again, twice the length of the neck opening and 3-5 cm wide. 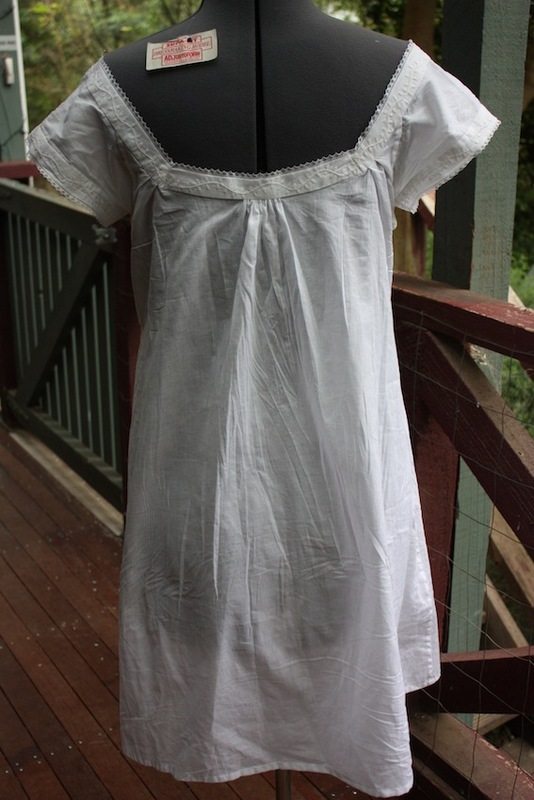 I followed the sewing instructions provided at “How to Make an 18th Century Chemise” fairly closely, and have detailed my progress below. The stitches and techniques I have used have been a running stitch, back stitch, rolled hem, rolled whipped gather, whip stitch, slip stitch, and flat felling. 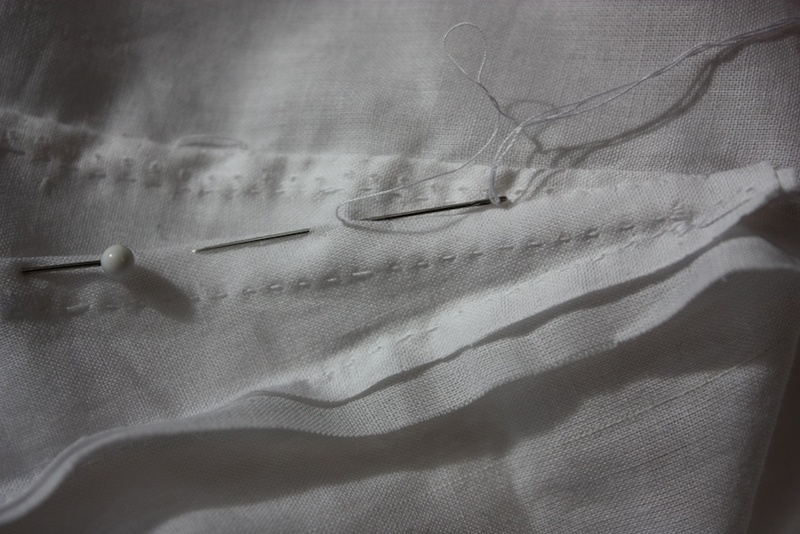 Step One: Assemble sleeves and gussets, flat-felling the seams with a slip stitch to neaten. All of my basic seams have been sewn with a running stitch (with a back stitch every so often to anchor the thread). 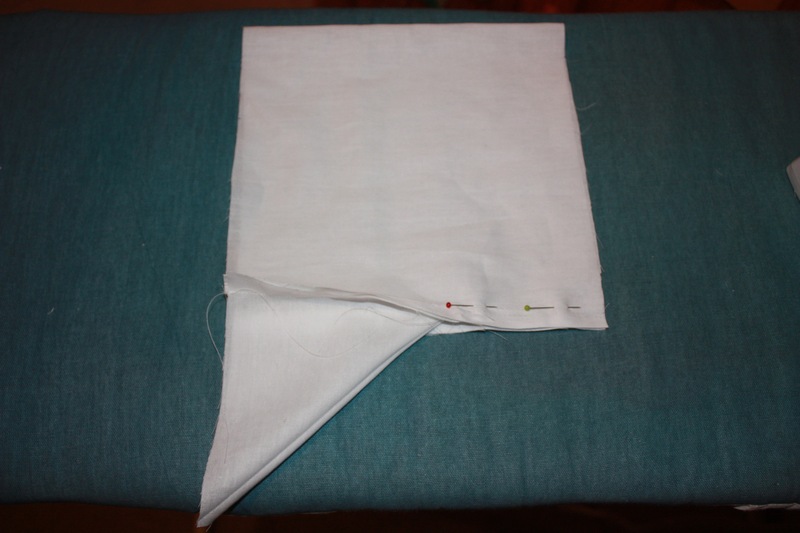 For more information on how to sew a gusset, you can look at my previous post My Regency Journey: Making a Chemise for more detail. The sleeve with the gusset attached, all sewn to the main body. The bottom edge of the sleeve can be gathered and finished with a cuff. For information on this type of finishing, go to “The Cognitive Shift” link below. I finished mine with a rolled hem (ungathered). 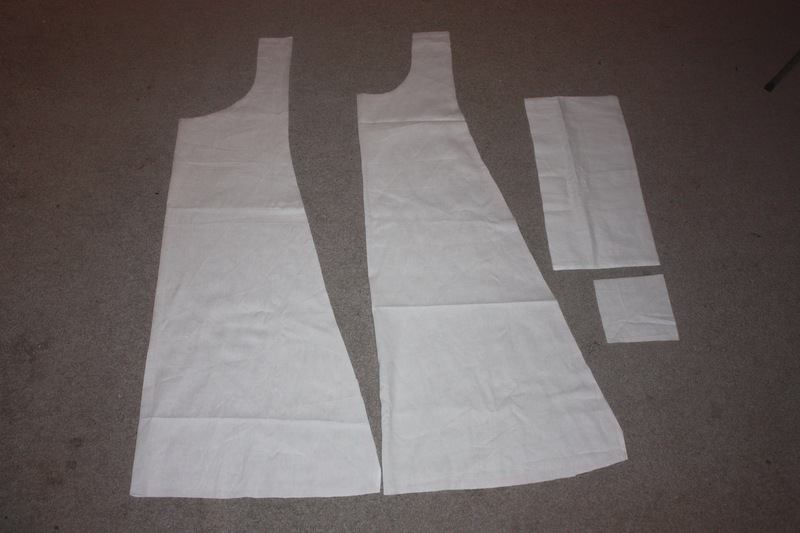 Step Two: Sew the gores (all four of them) onto each side of the main body, sewing from the hem upwards. Then sew the side seams of the main body together, upwards from the hem, finishing where the gores end. 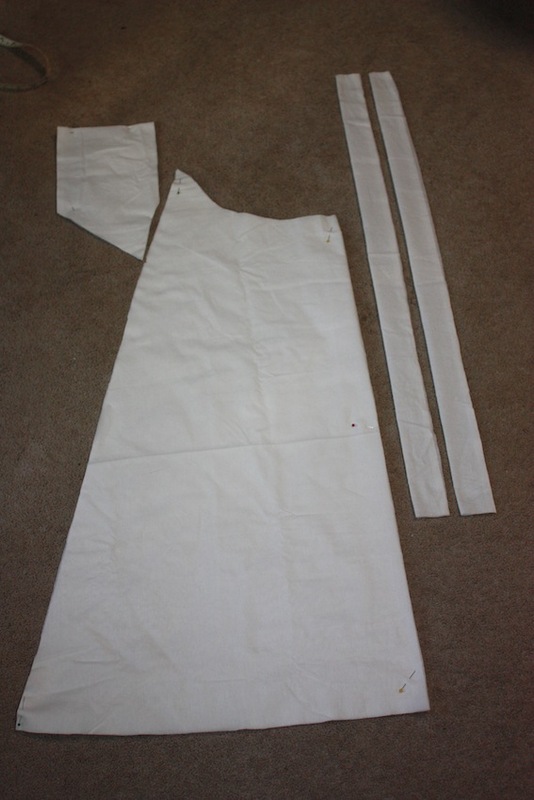 Step Three: Sew the sleeves in position, then finish any side seams that are still open by flat felling. 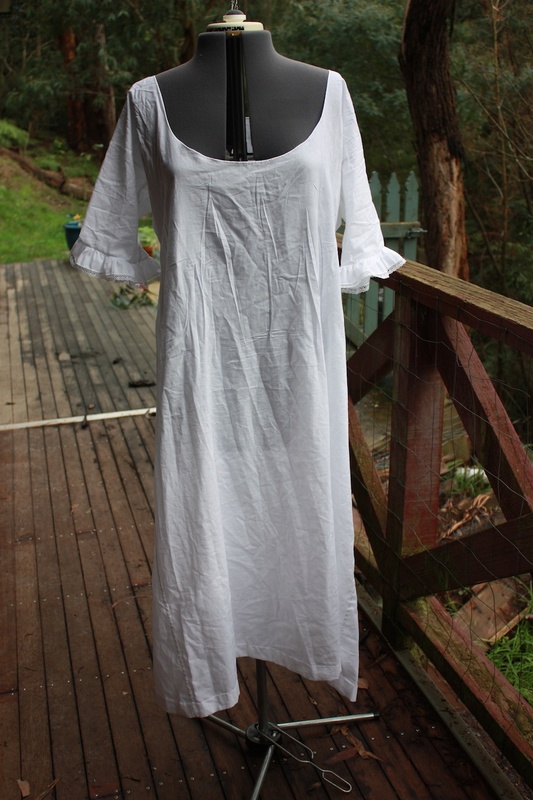 At this point (before I attached the sleeves) I decided that an 80cm wide chemise was too wide for my body, so I trimmed the top of the main body so that it was a little narrower (60cm wide across the shoulders rather than 80cm). I sloped the new narrower width out to meet the gores, which had already been sewn in. You can see where I have altered the width. Instead of the side seams going straight up, they go diagonally when they reach the gores and then straight up again where the sleeves are attached. There is no neck opening as yet. In “How to Make an 18th Century Chemise”, at the very end of the article under “Alternative Patterns”, the patterns provided are all 60cm wide at the shoulders. They also show that there were various ways to cut out a chemise to suit various figures. Step Four: Flat fell all the side and gore seams with a slip stitch. The gore seams being flat felled with a slip stitch. The top one is complete, the middle one is being felled, and the bottom one is trimmed ready. Step Five: Hem the bottom edge to mid-calf area using a slip stitch. Step Six: Cut the neck opening and finish with a rolled hem. A casing and drawstring can be added if you need one. 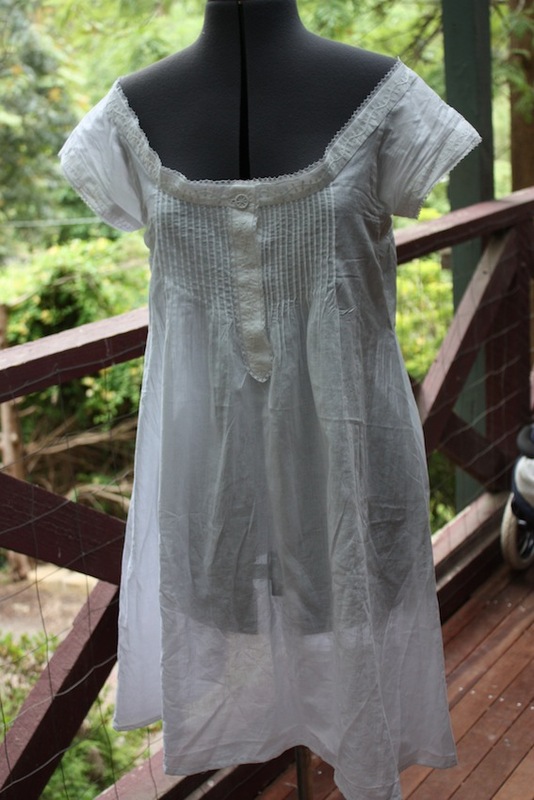 My neck opening was done by trying on my chemise underneath my stays and marking the neckline with an erasable fabric pen. This did lead to having an opening which seems slightly too big, but which still worked well without a drawstring. 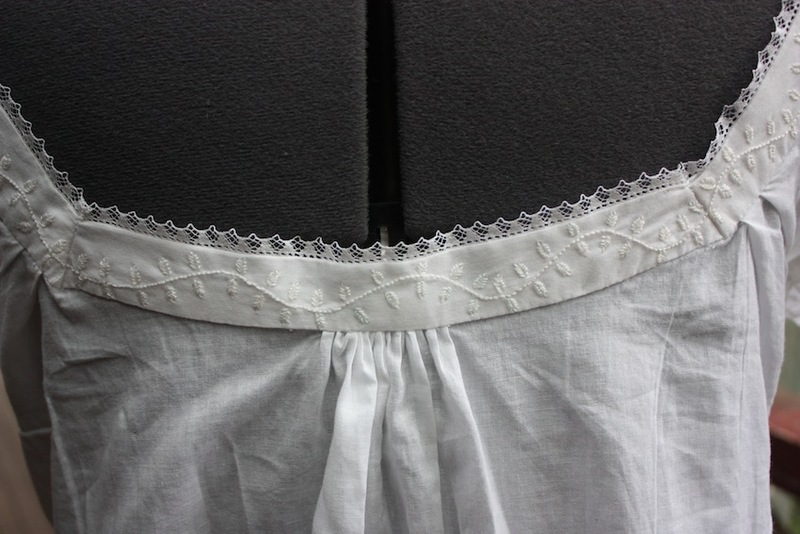 For an interesting discussion on necklines and drawstrings of 18th century chemises, have a look at The Cognitive Shift; or, 18th Century Shifts: What I Know and How I Learned It. Step Seven: For any sleeve or neck ruffles, do a rolled whipped gather on one long edge and a rolled hem on the three remaining sides that will not be gathered. Whip stitch the ruffle ends together and attach the gathered ruffle edge to the bottom sleeve edge using a whipped stitch. 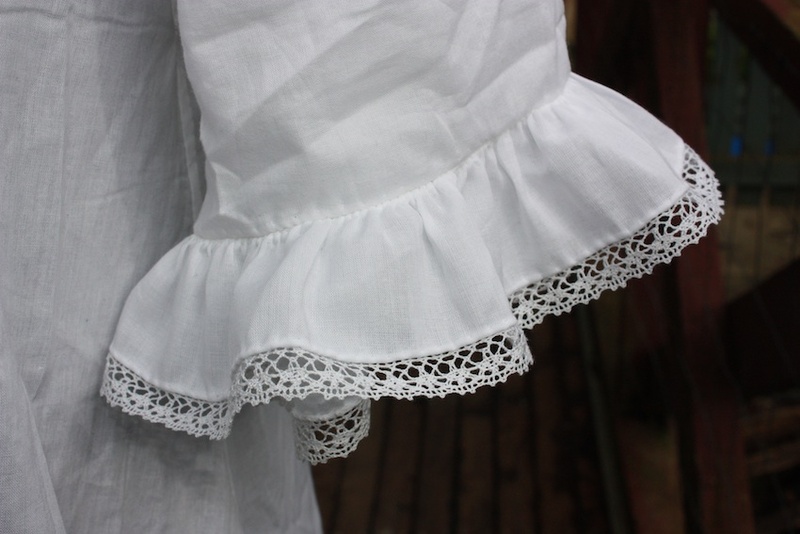 I sewed lace on to the bottom edge of my ruffle as well. The sleeve ruffle attached. Very pretty, I think! All finished! I am still undecided whether to attach a neck ruffle to it or not… decisions, decisions! I love the feel of wearing cotton lawn undergarments. Whilst I know most (if not all) chemises of this period were made of linen, I have not been able to find any linen within a reasonable price range to do the job! And I find this is a very suitable alternative. And hand-sewing has recently become my cup of tea!